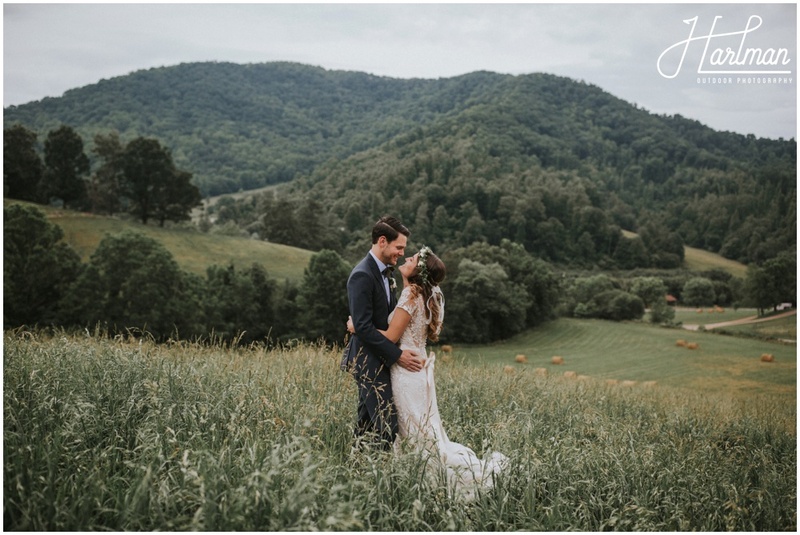 When your wedding day starts with as Asheville morning hike through Craggy Gardens, you know its going to be a good one. 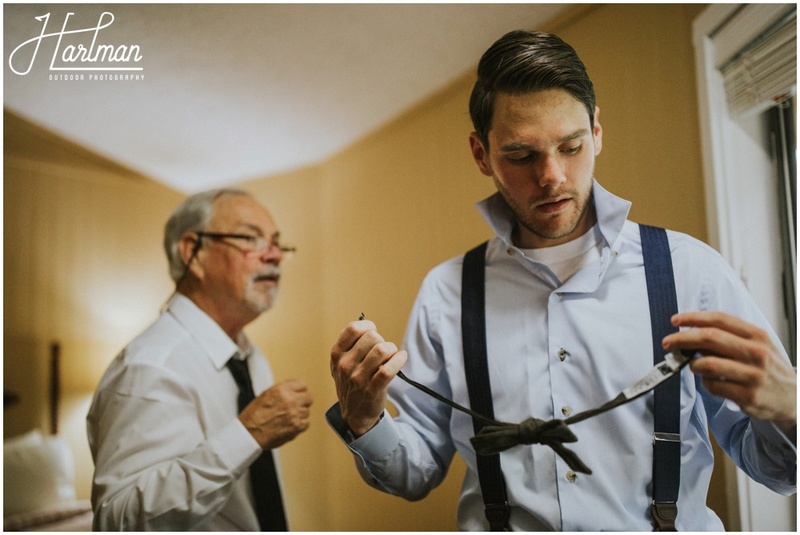 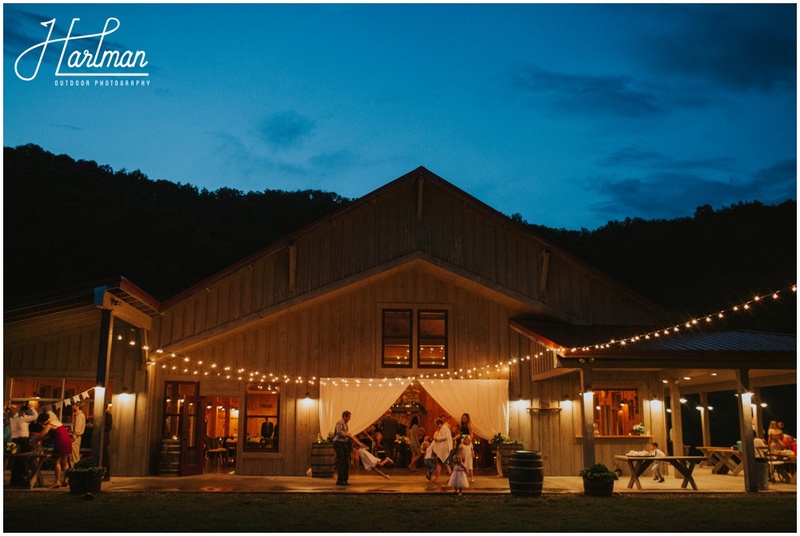 For most people attending Kristin and Grayson’s wedding, this was a destination wedding. 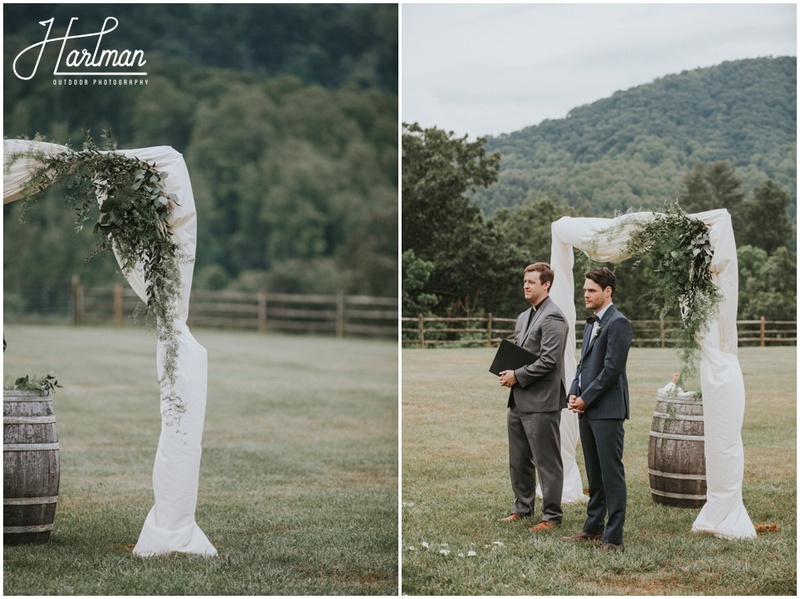 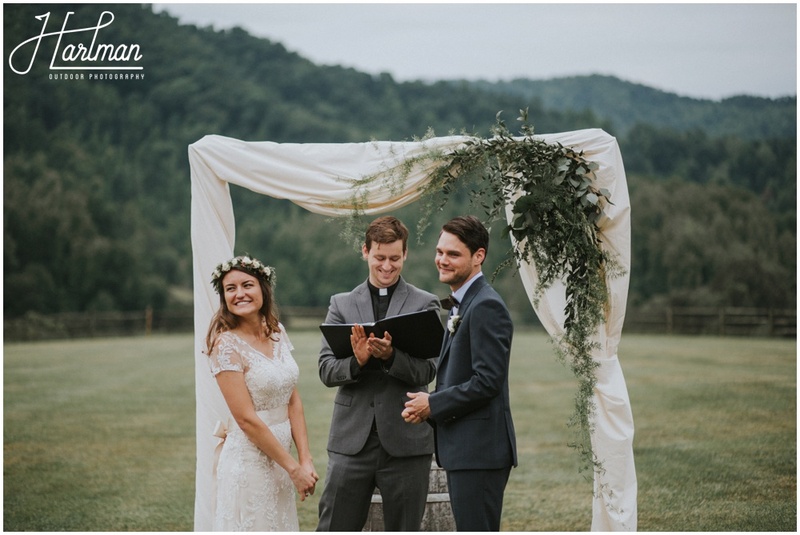 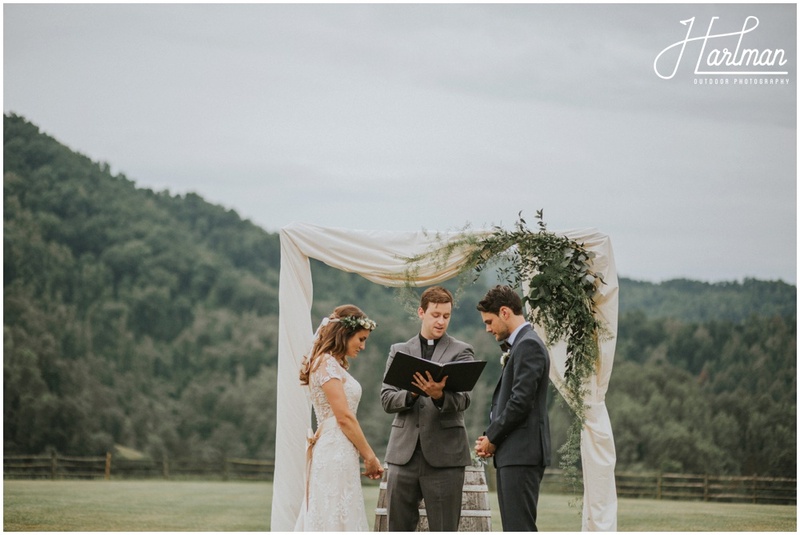 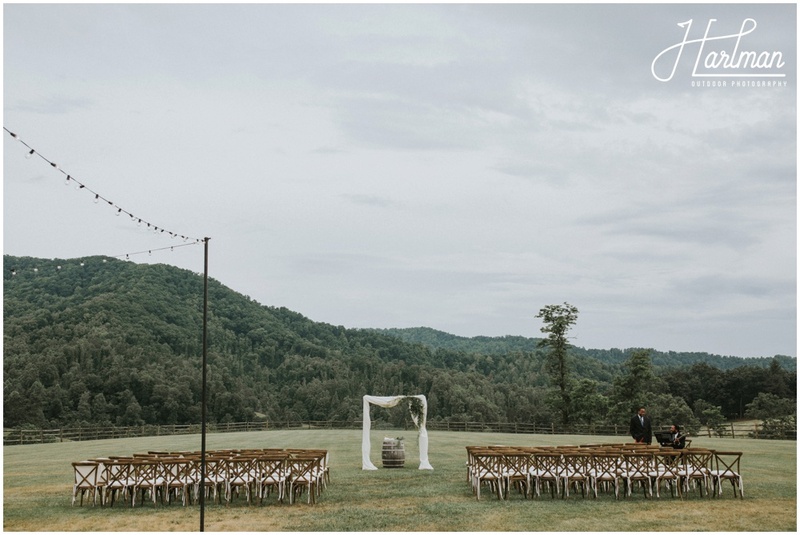 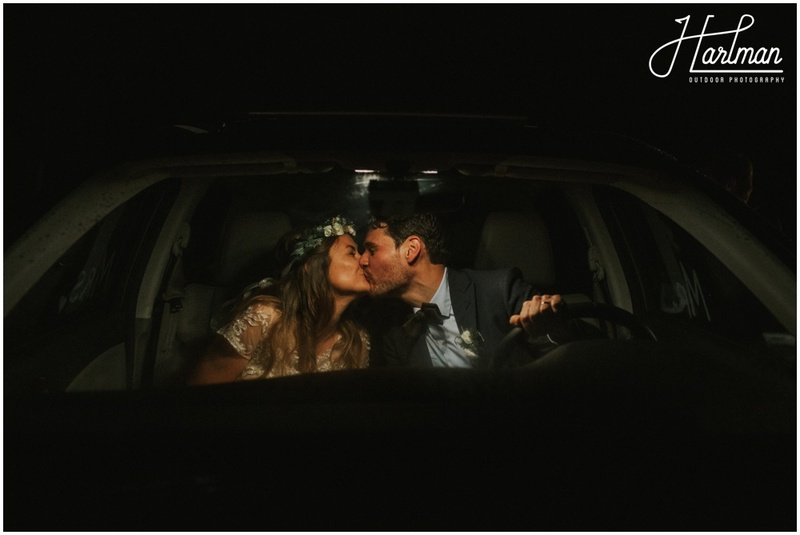 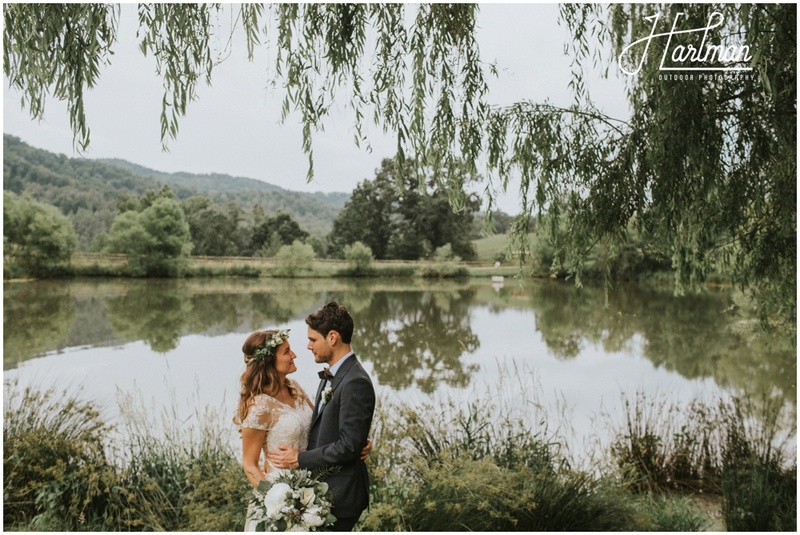 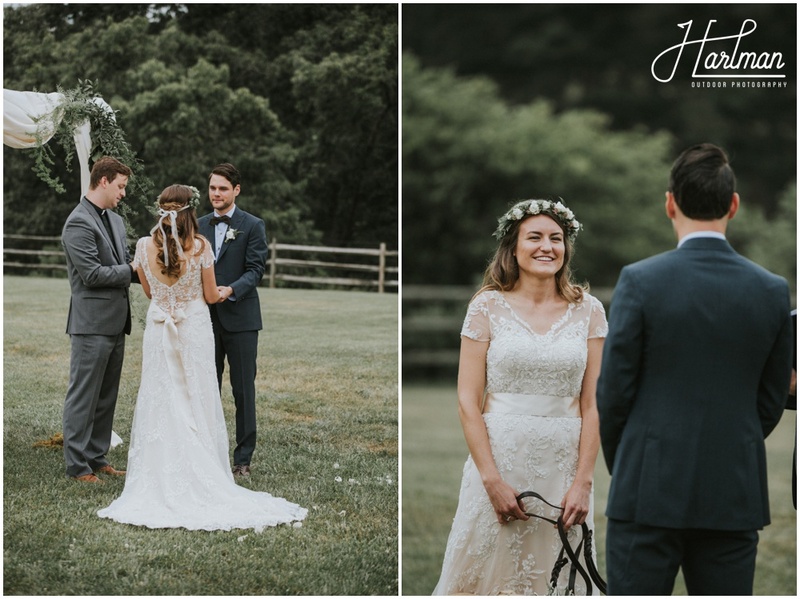 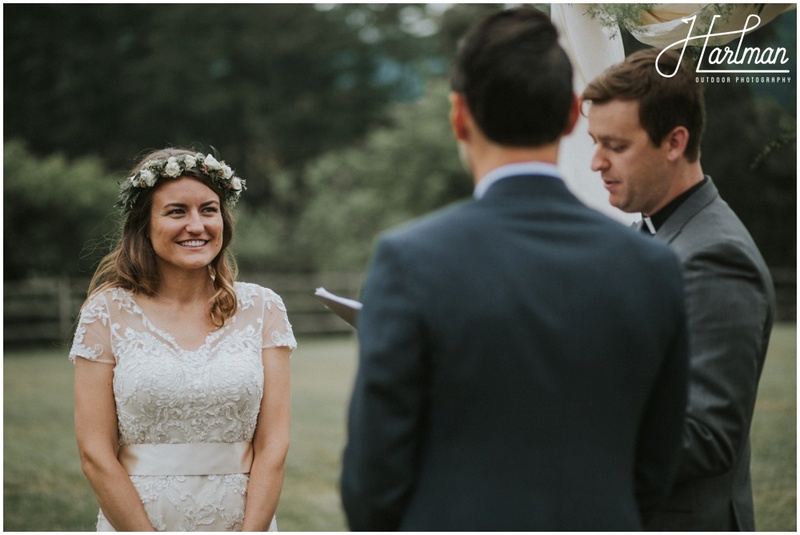 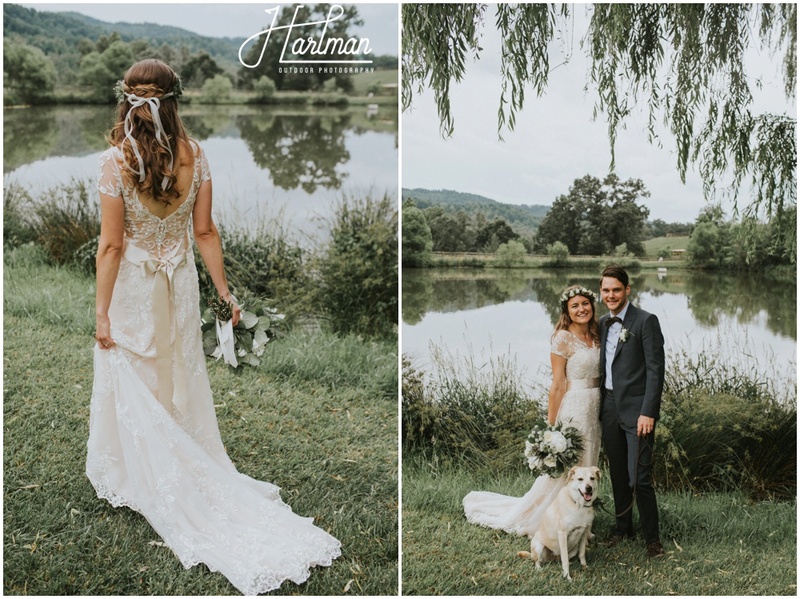 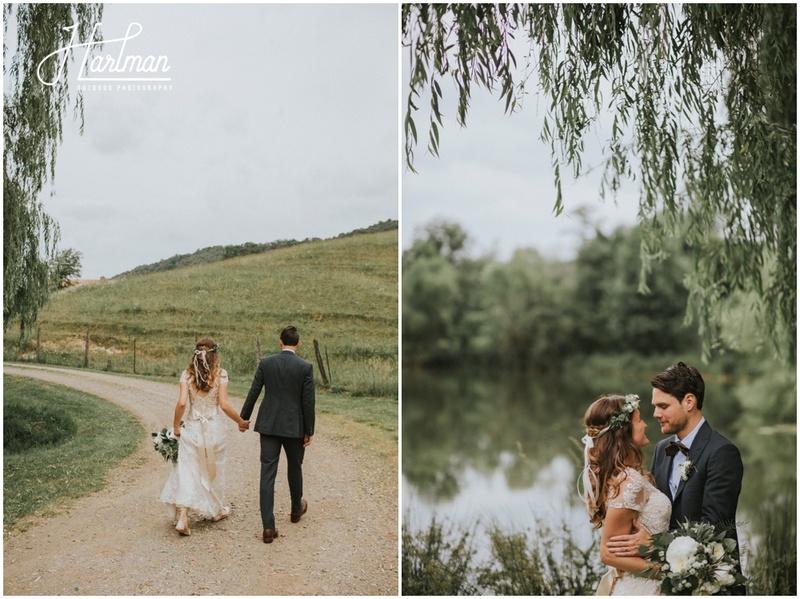 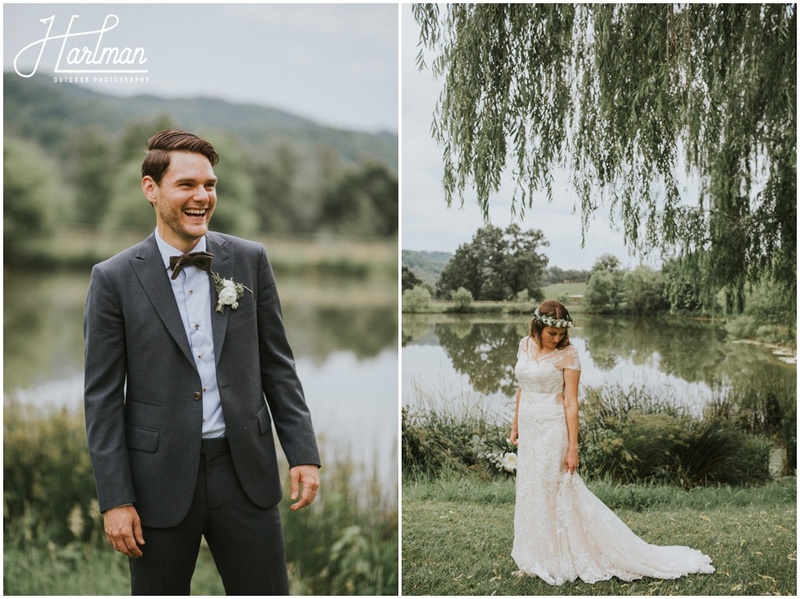 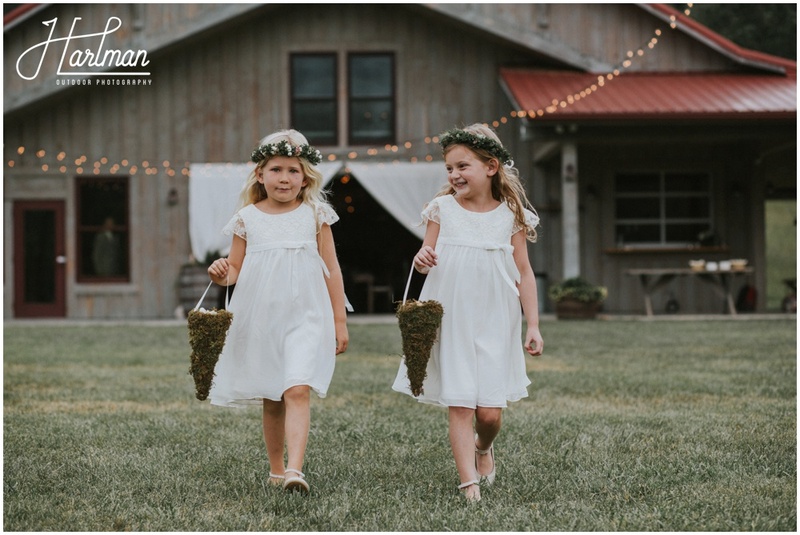 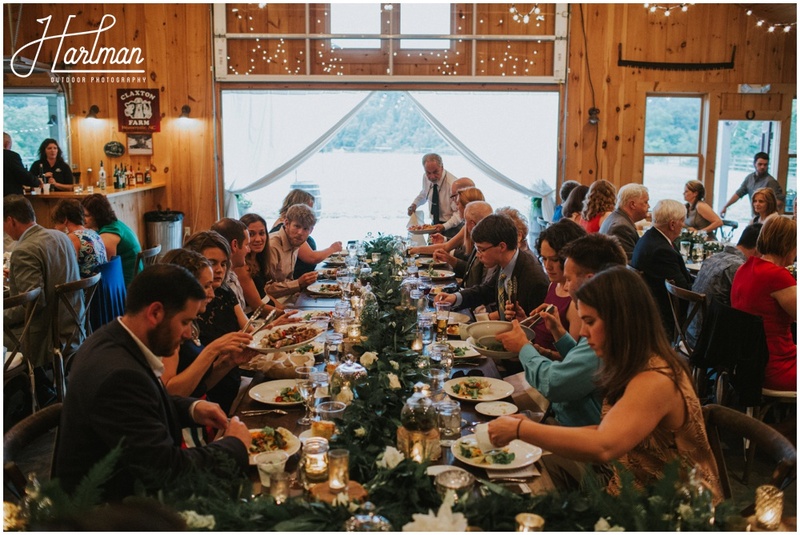 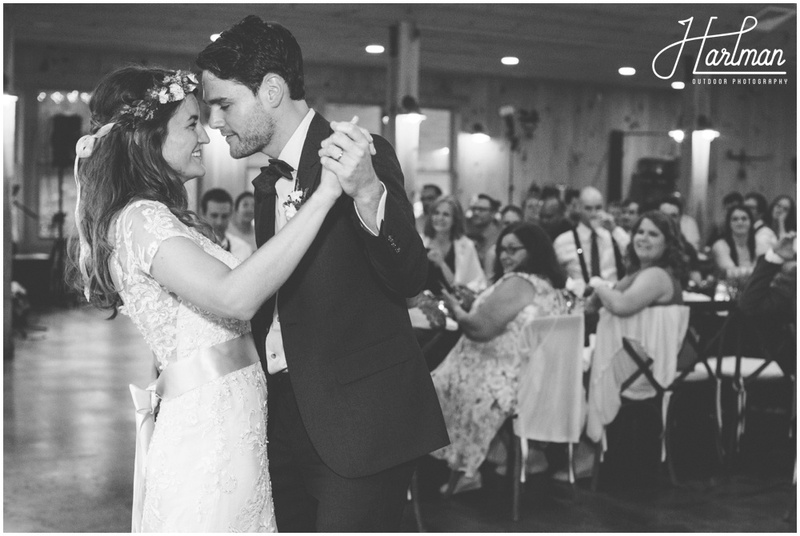 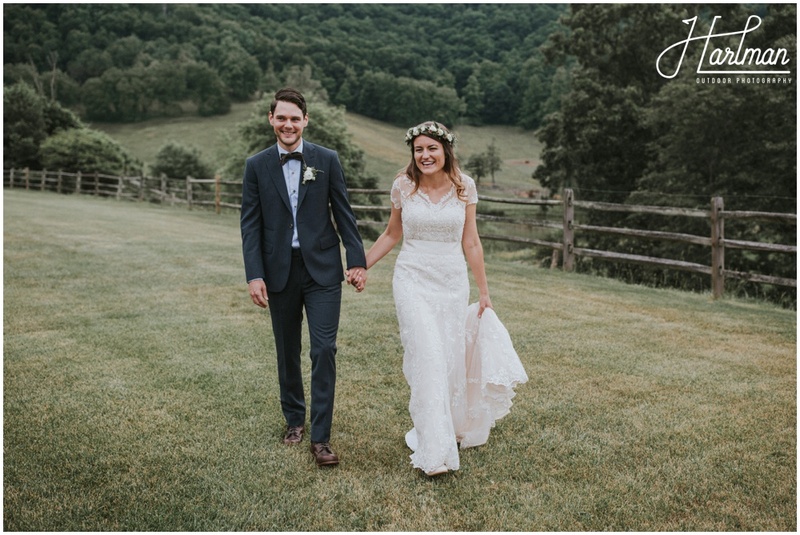 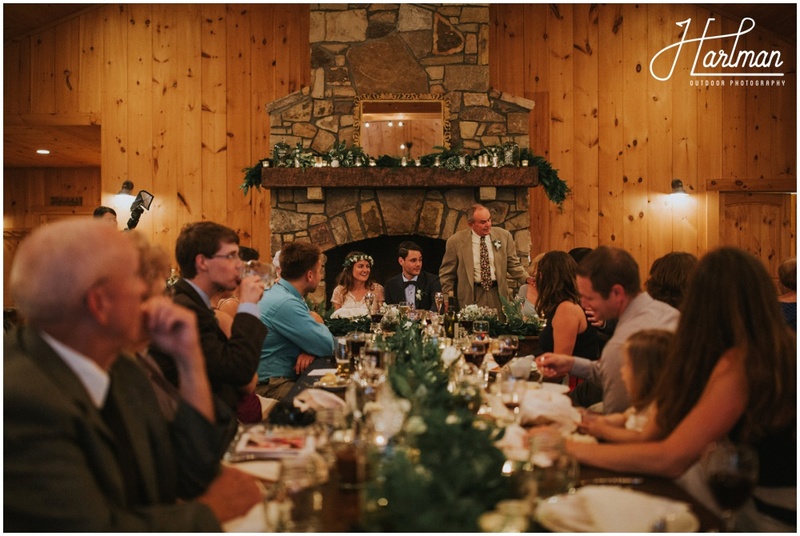 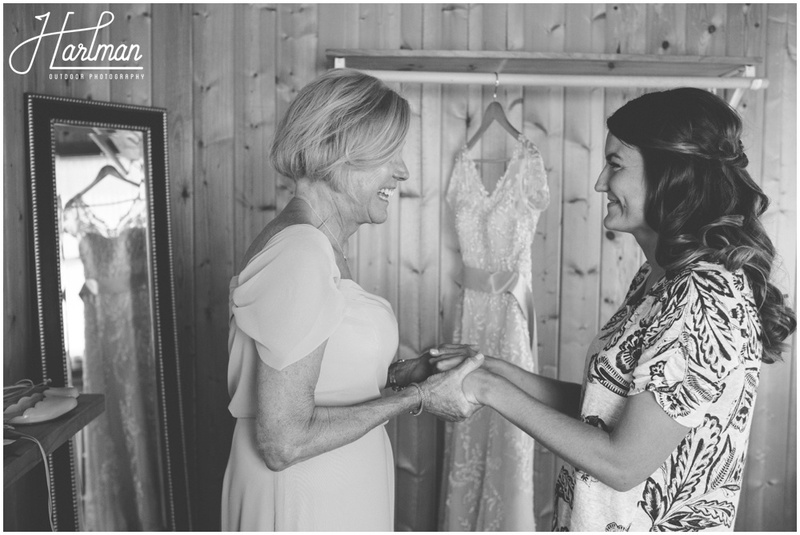 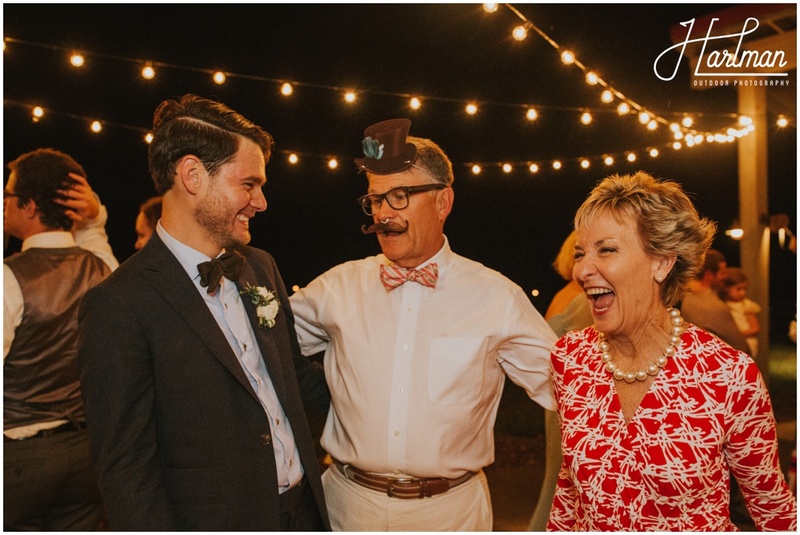 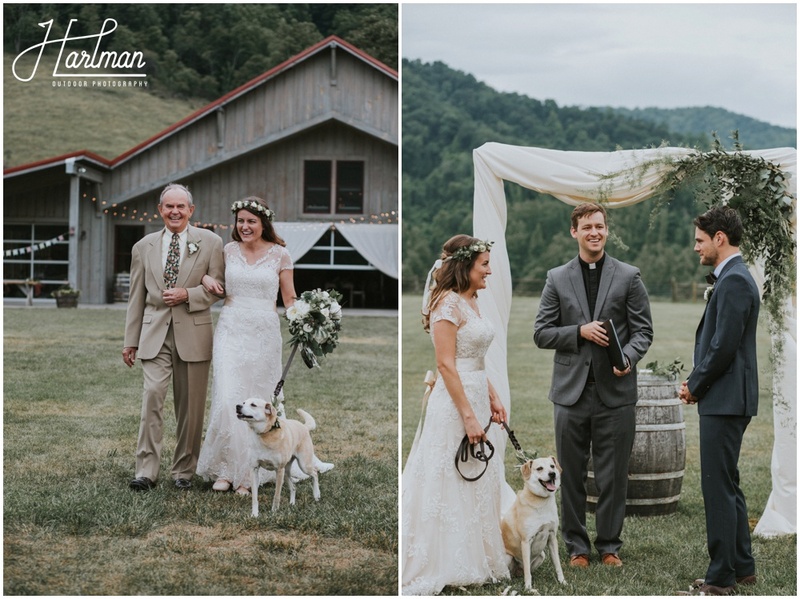 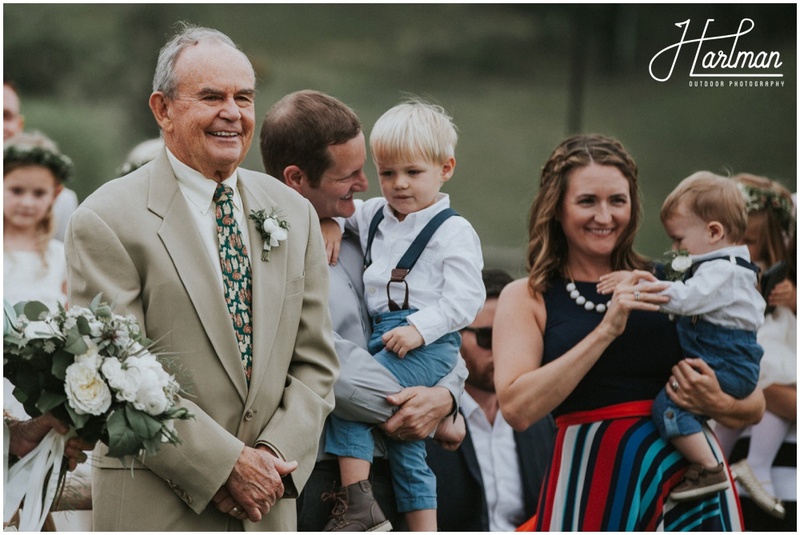 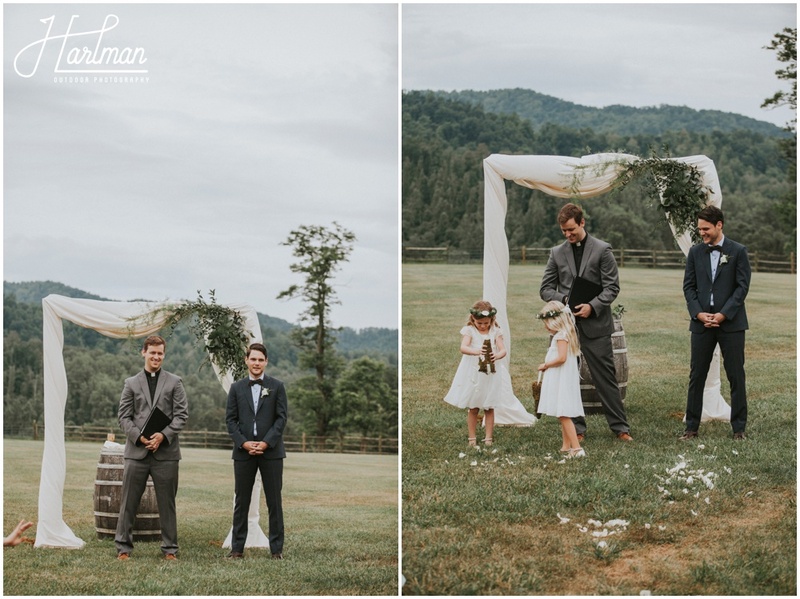 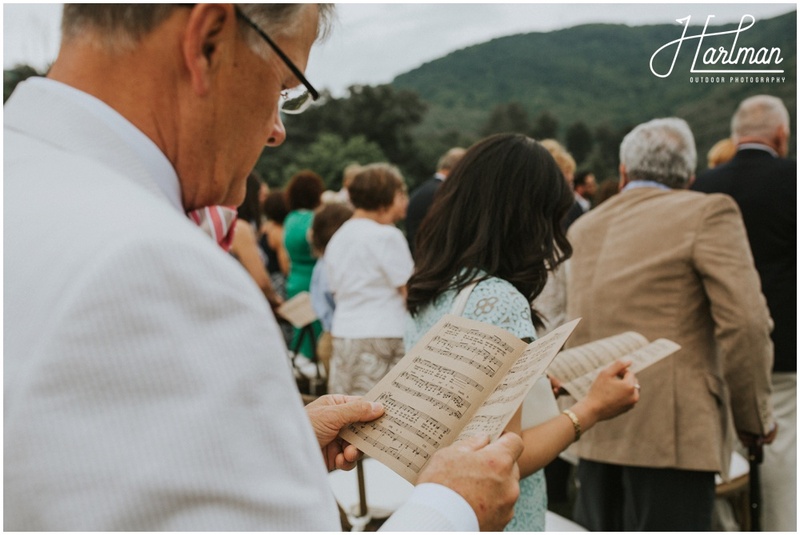 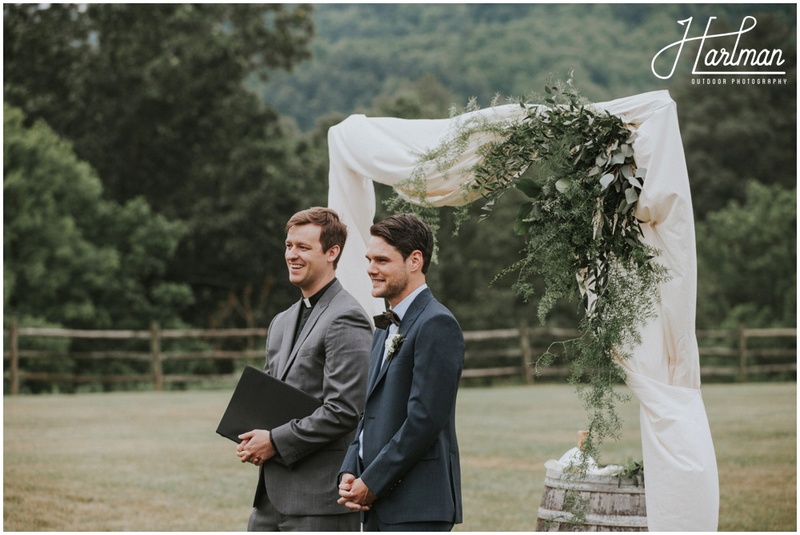 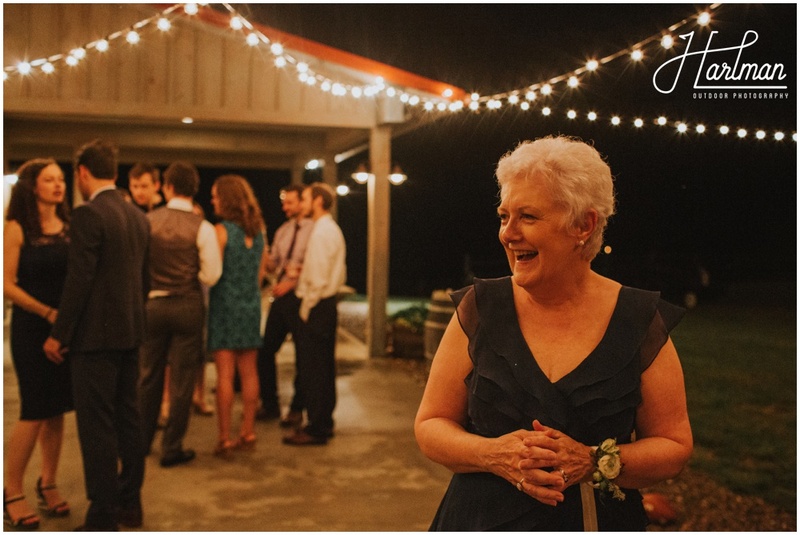 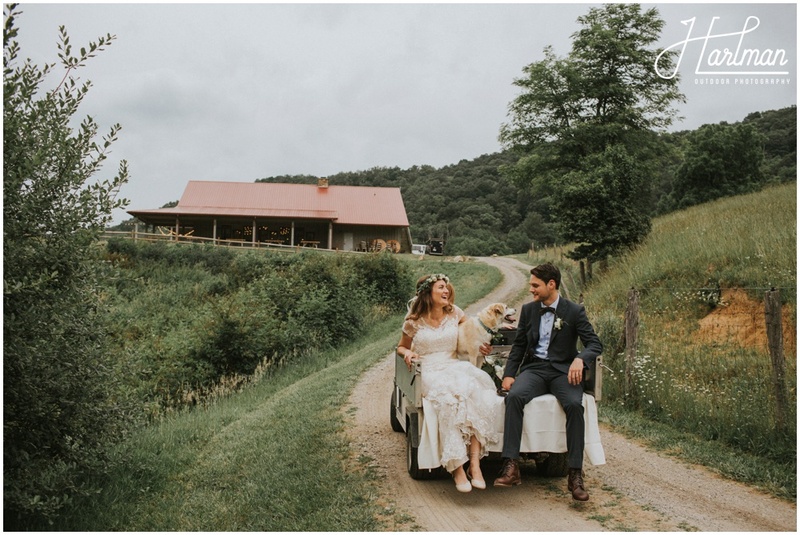 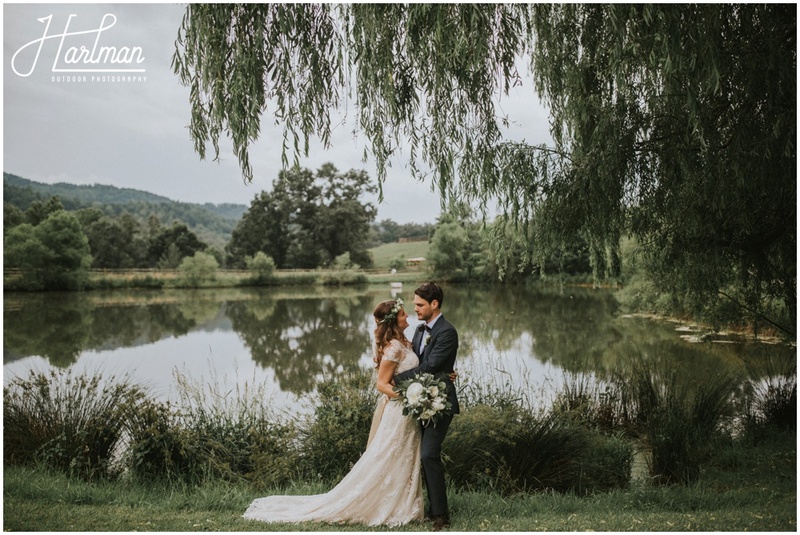 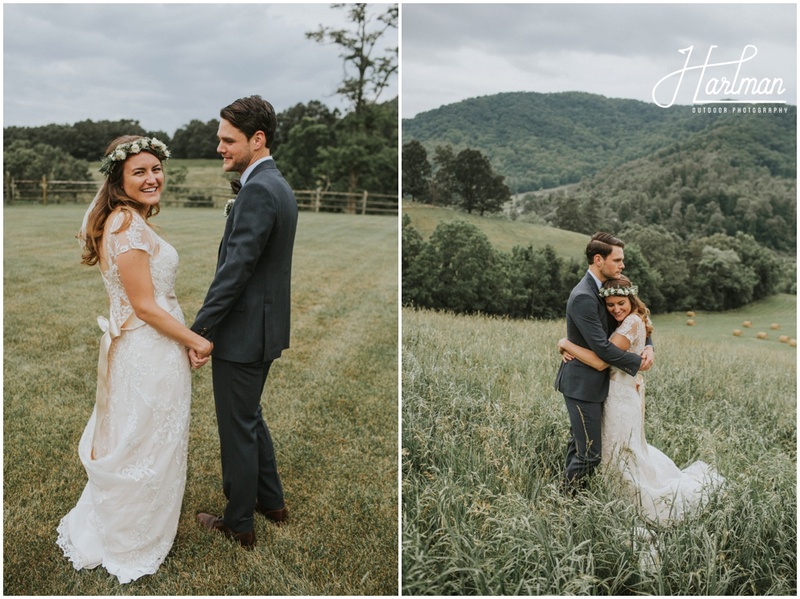 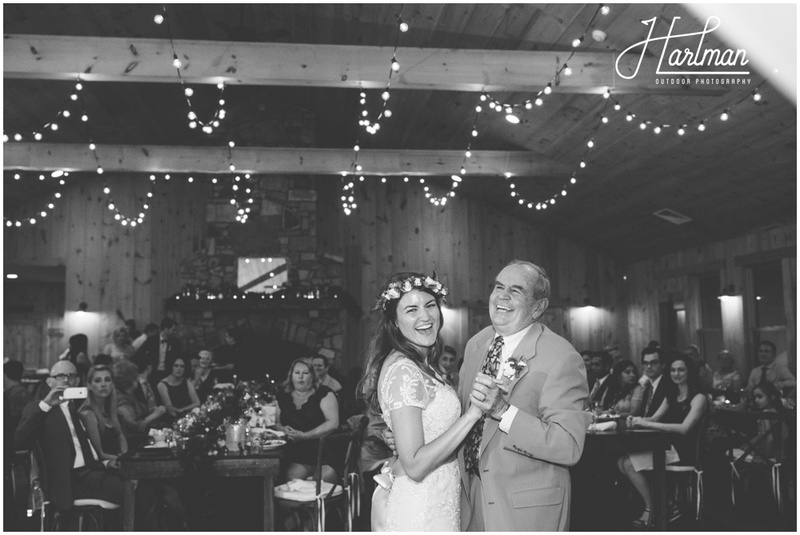 Friends and family came from Pennsylvania and all over to join in the celebration, and these two certainly showed them just how beautiful the North Carolina Blue Ridge Mountains can be. 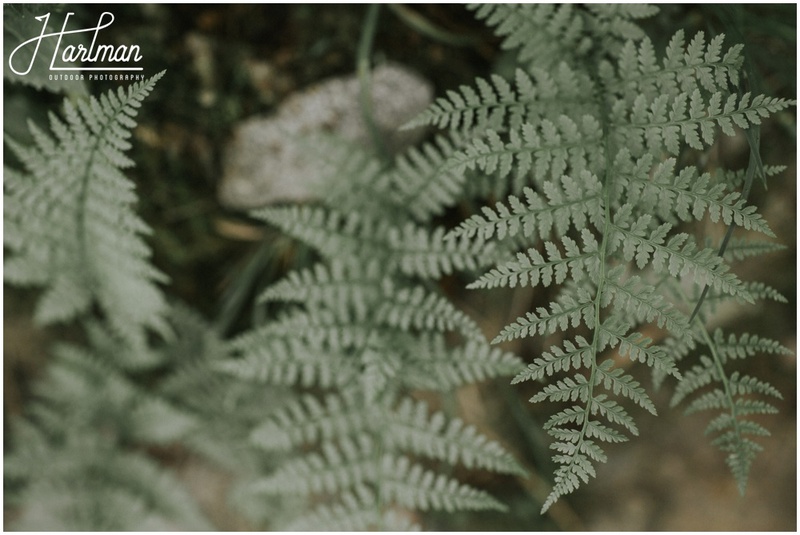 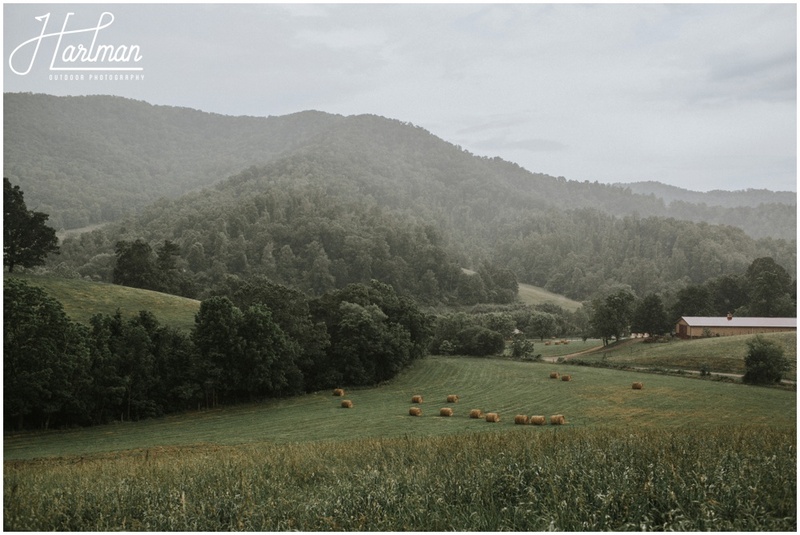 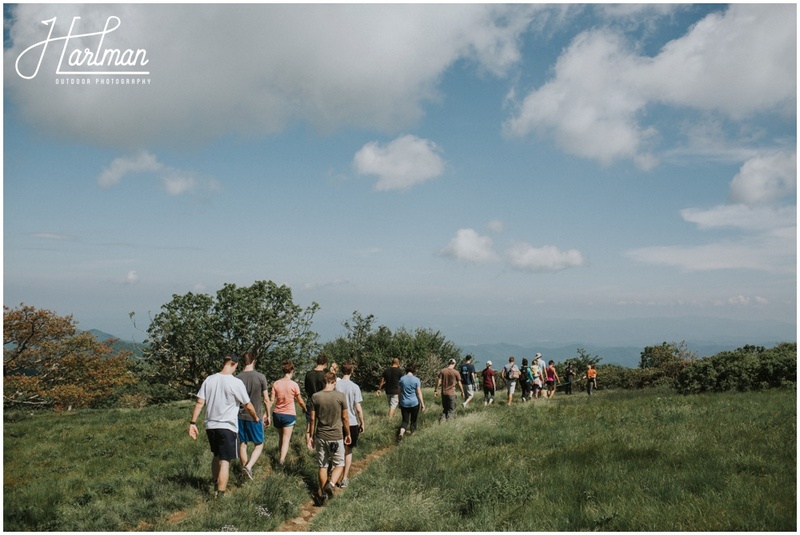 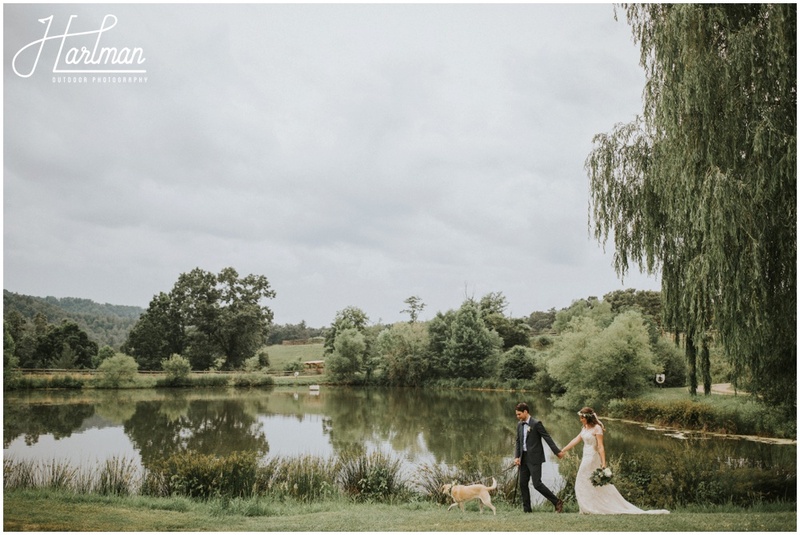 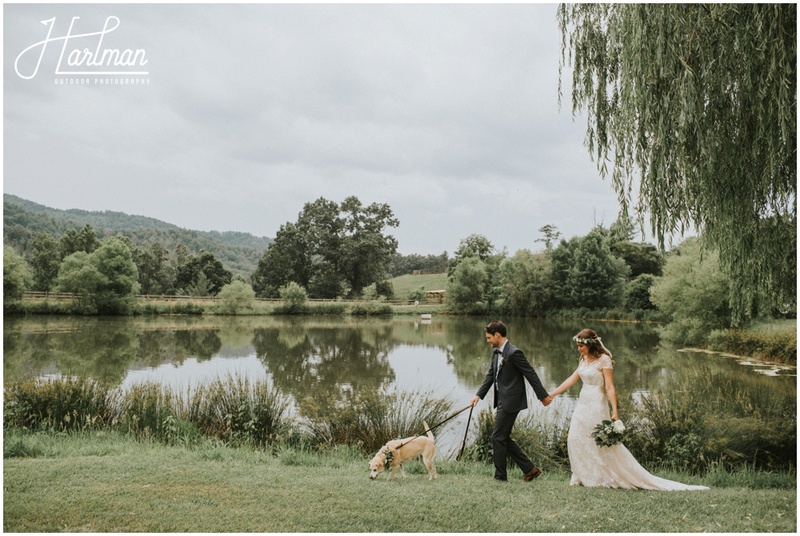 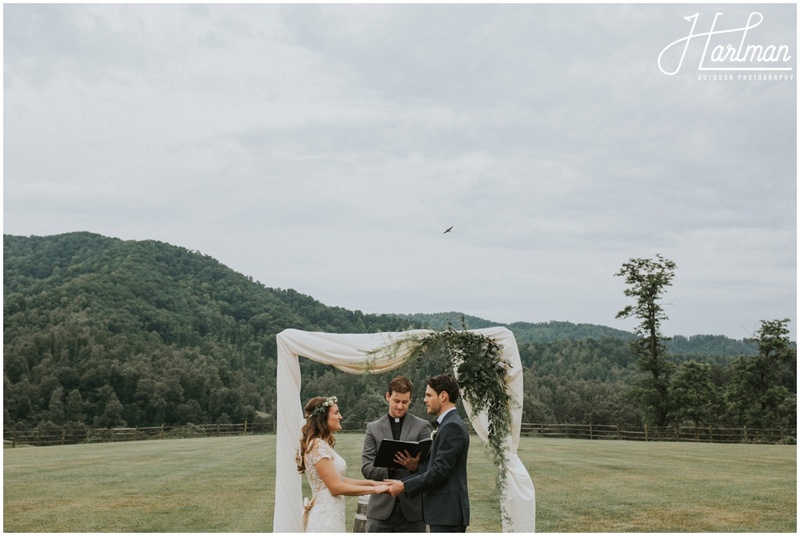 Our day started out with a sunny hike over the bald of Craggy Gardens, and ended with some moody storms and rain at their rustic venue Claxton Farm. 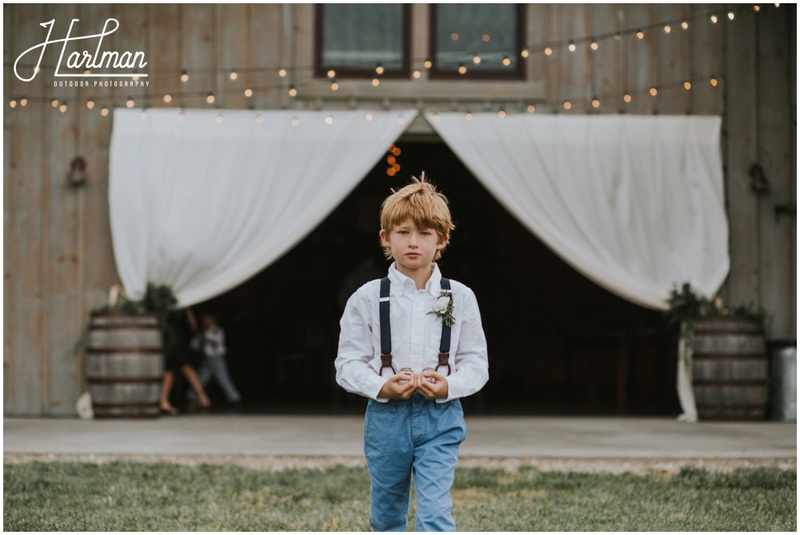 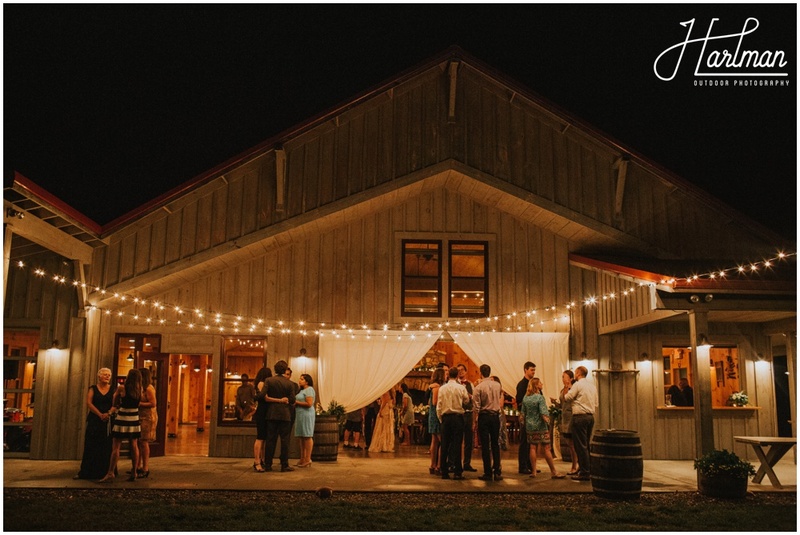 Claxton Farm has most certainly been added to the top of our ever-growing list of favorite venues. 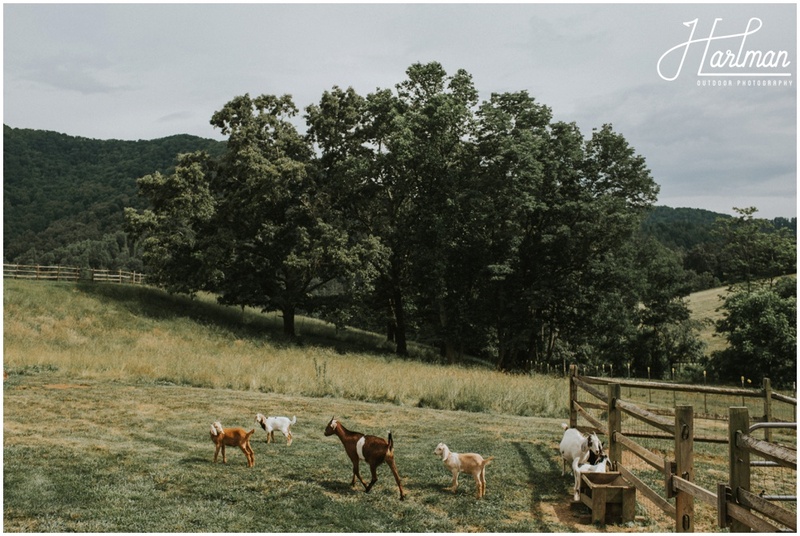 The barn has some of the best mountain scenery surrounding it that we have ever seen- plus there is a friendly llama and goats to make friends with. 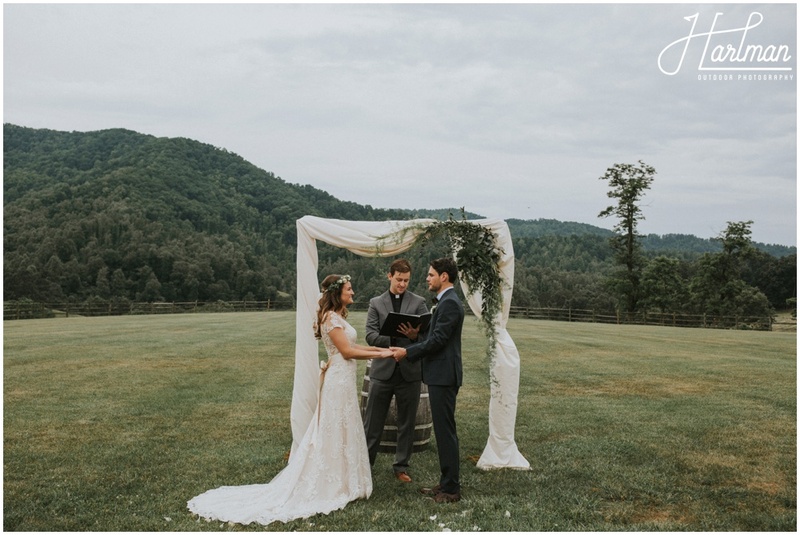 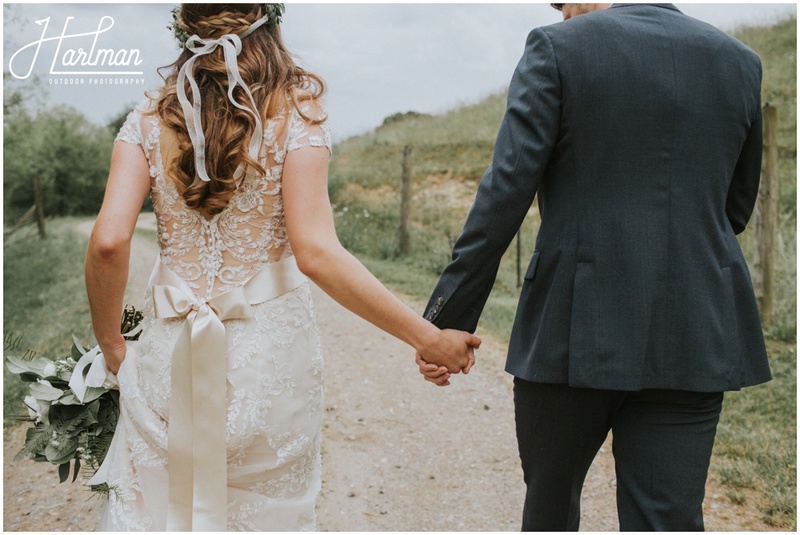 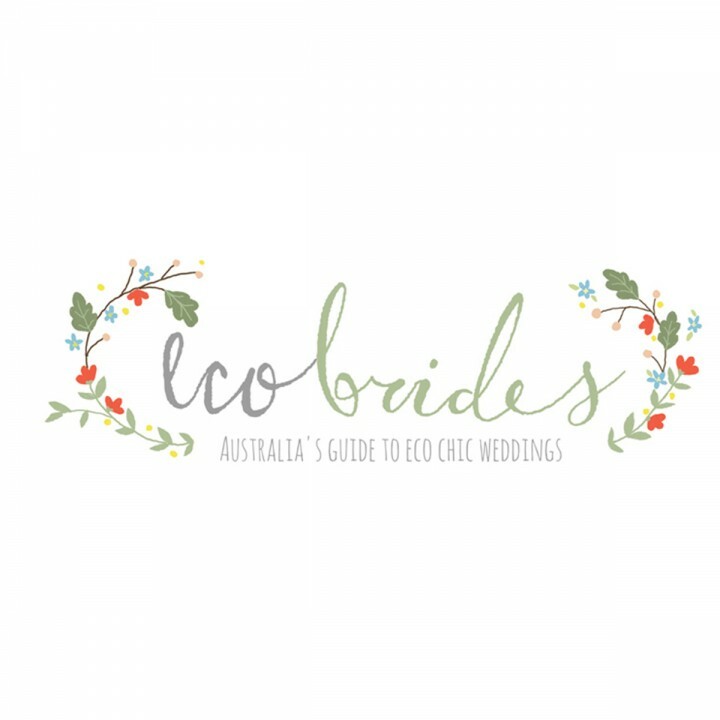 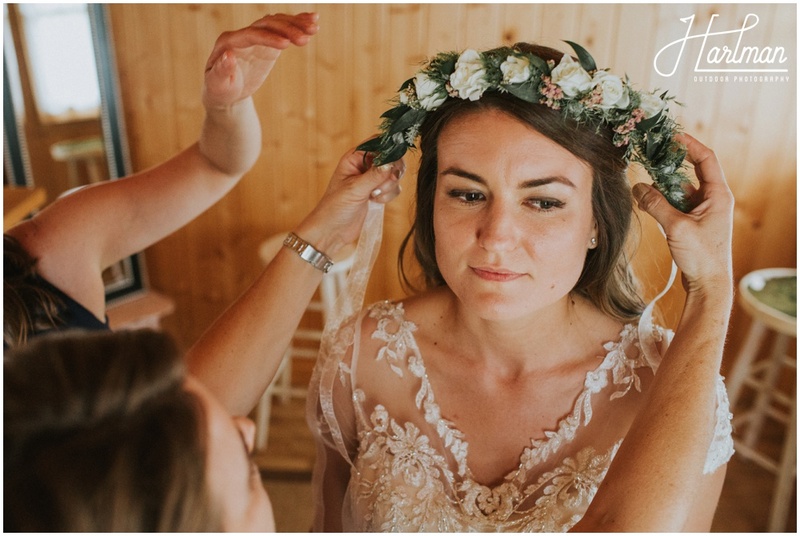 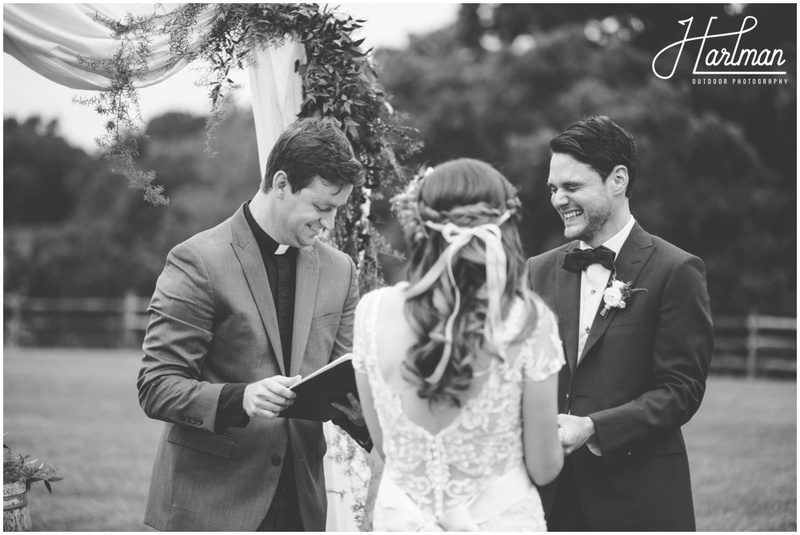 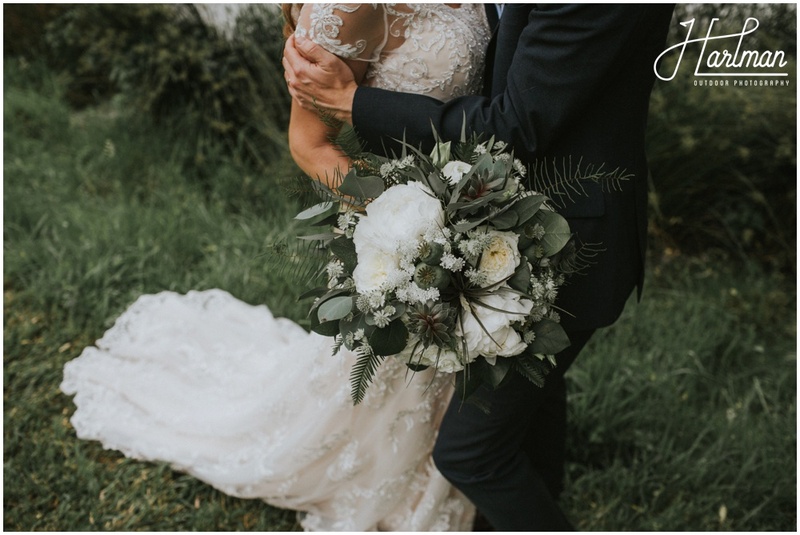 The day of their wedding, it rained on and off – but we are SO happy these two stuck with their goals of an outdoor ceremony. 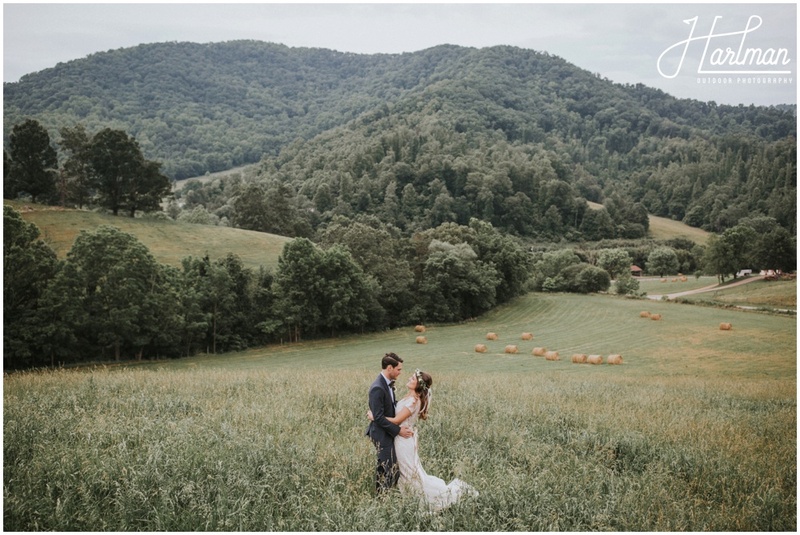 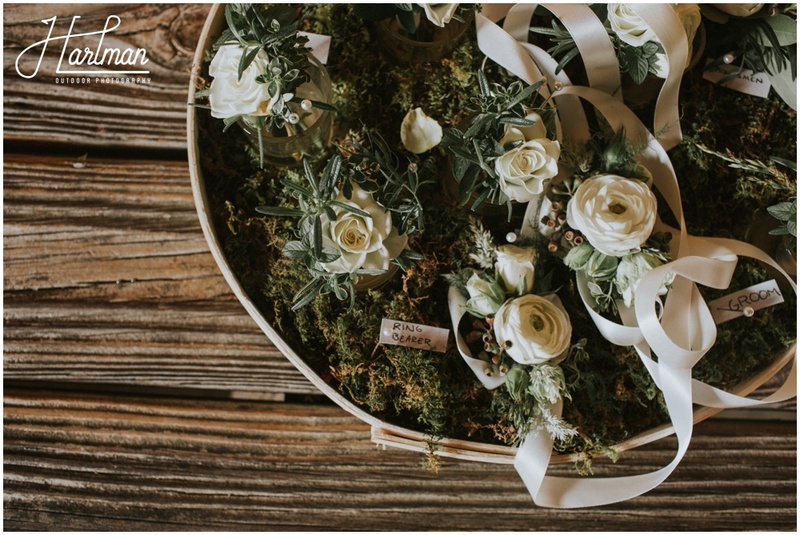 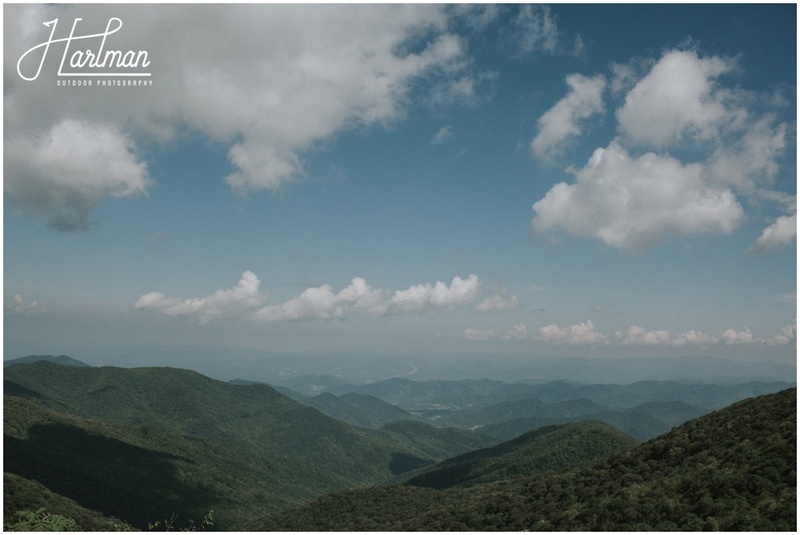 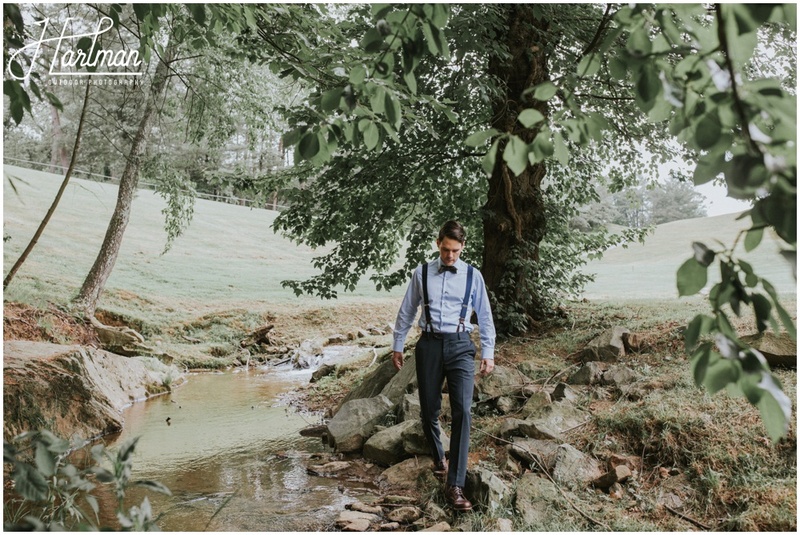 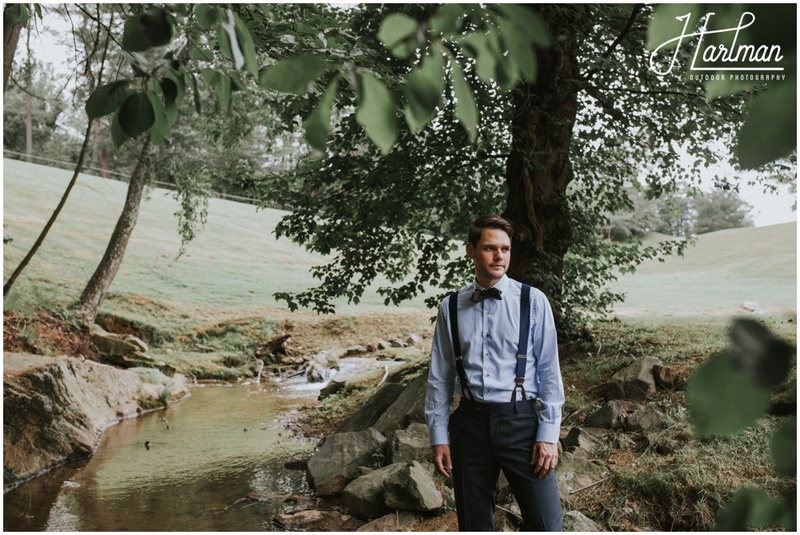 When you spend so many months planning a wedding, there is just no substitute for being surrounded in those gorgeous Blue Ridge views. 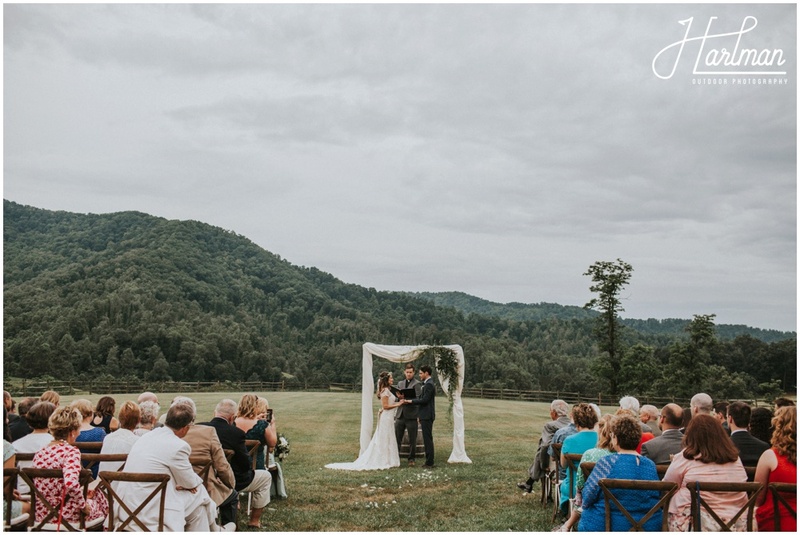 One hundred percent worth it- no matter what weather! 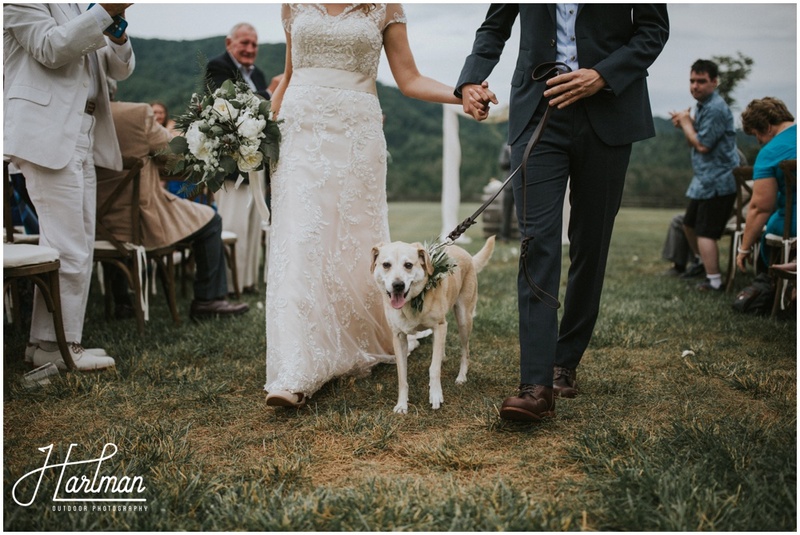 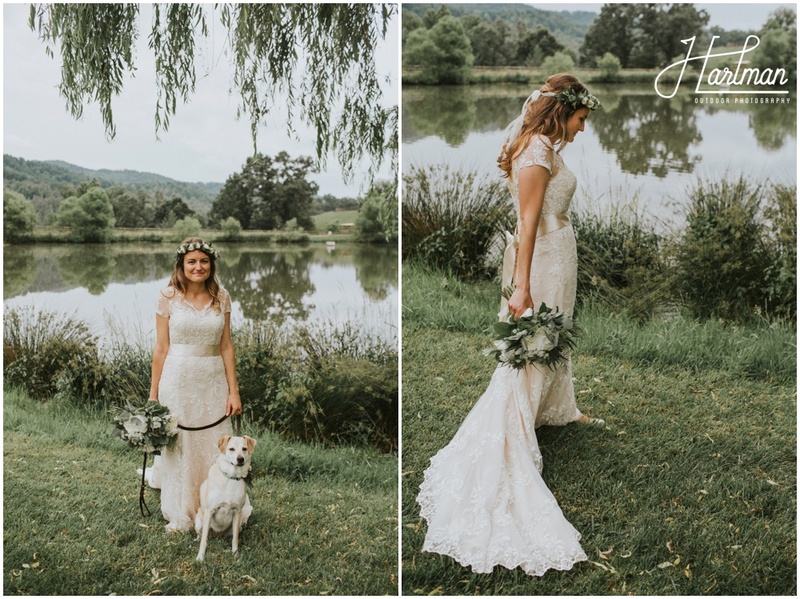 Kristin and Grayson’s pup, Lucy was front and center throughout most of the wedding day. 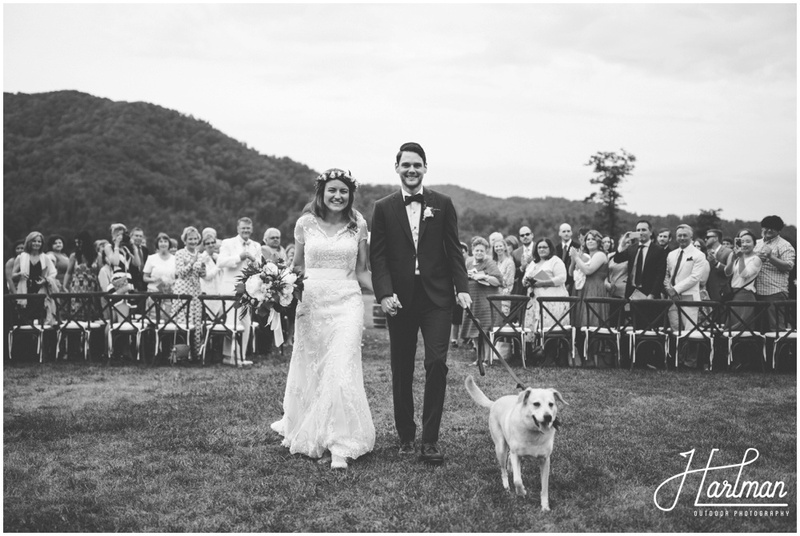 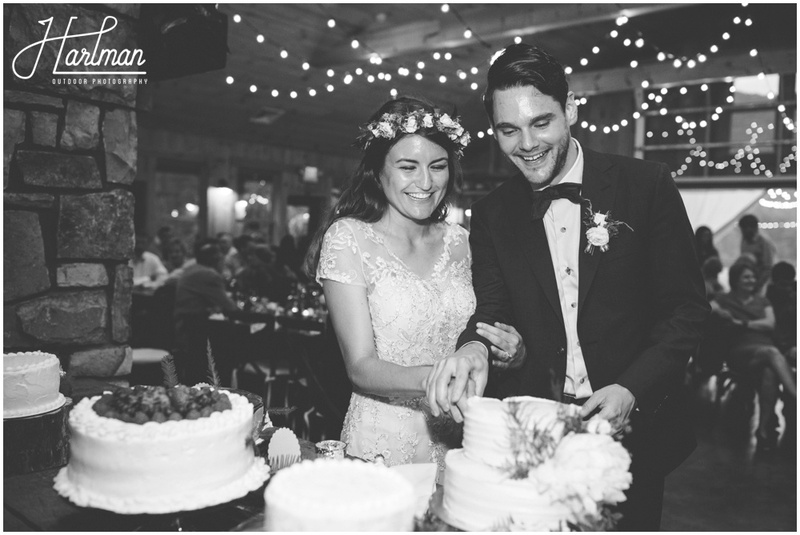 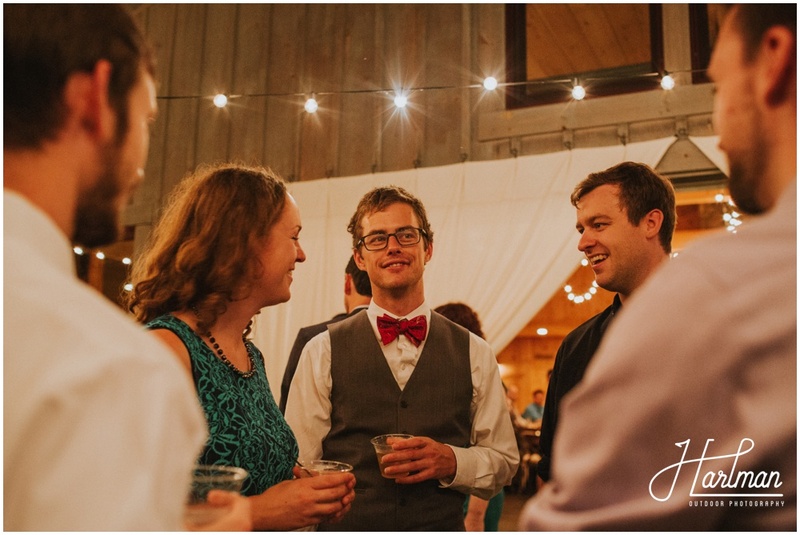 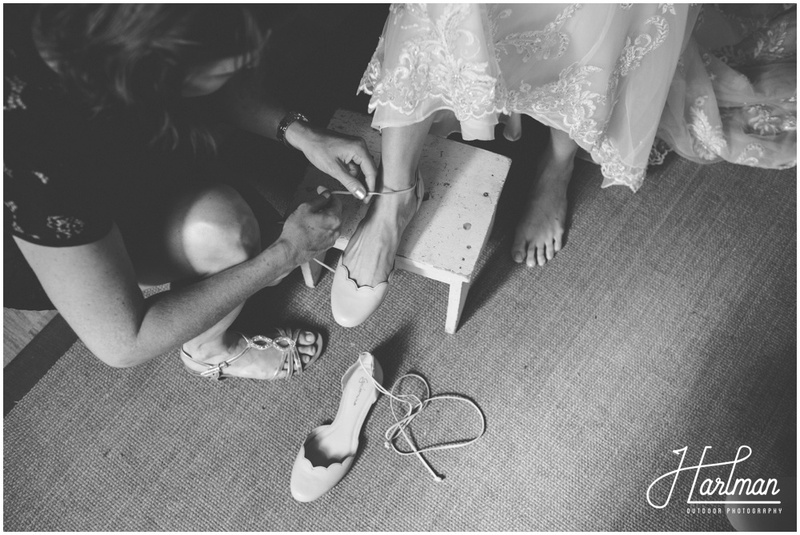 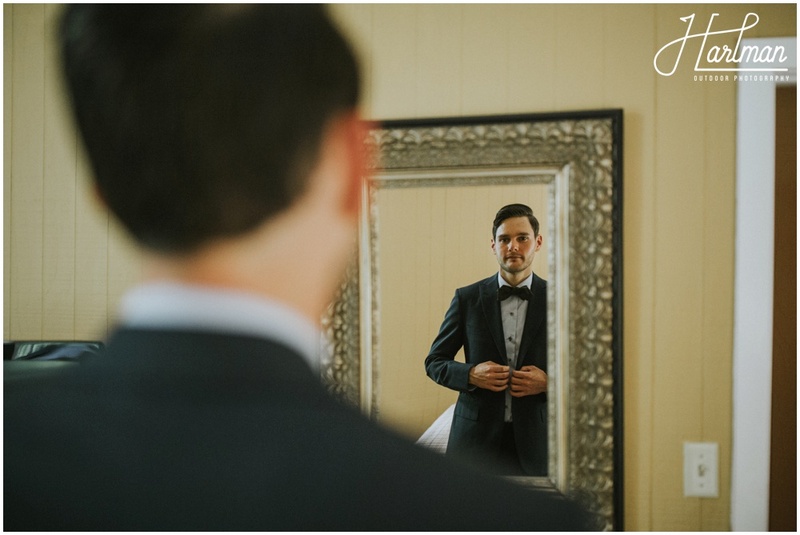 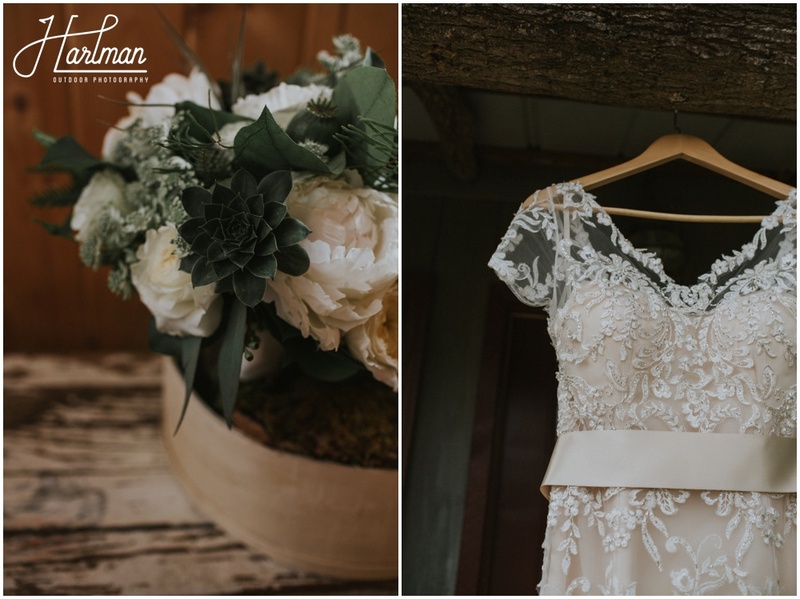 While these two chose not to have a wedding party, Lucy stood at the alter with Grayson and Kristin. 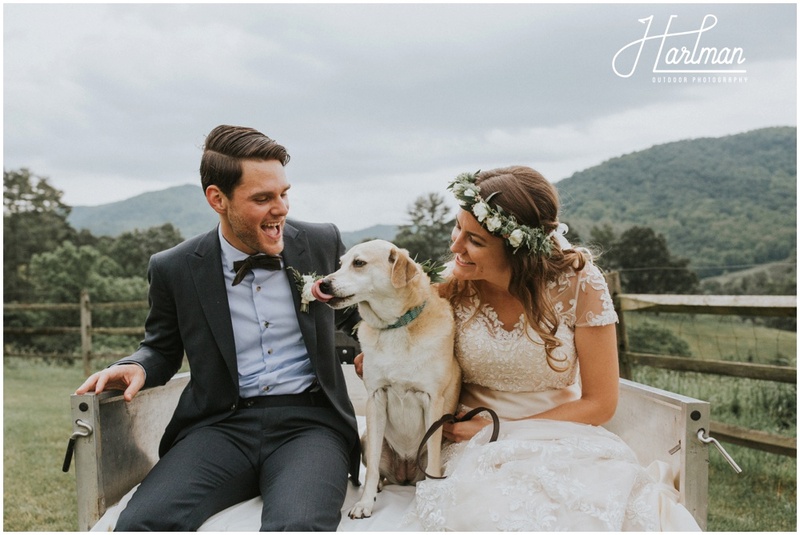 She also starred in most of the couples portraits, and even got to wear a lovely little floral collar. 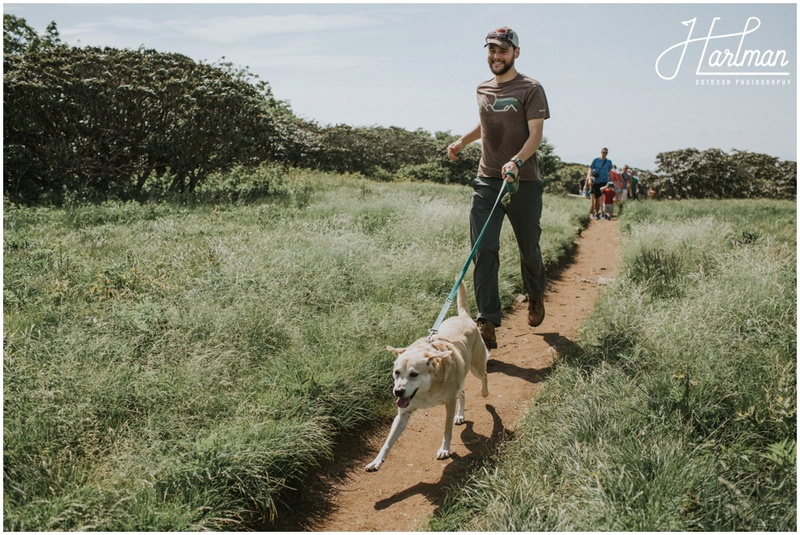 As dog lovers, we totally dig this. 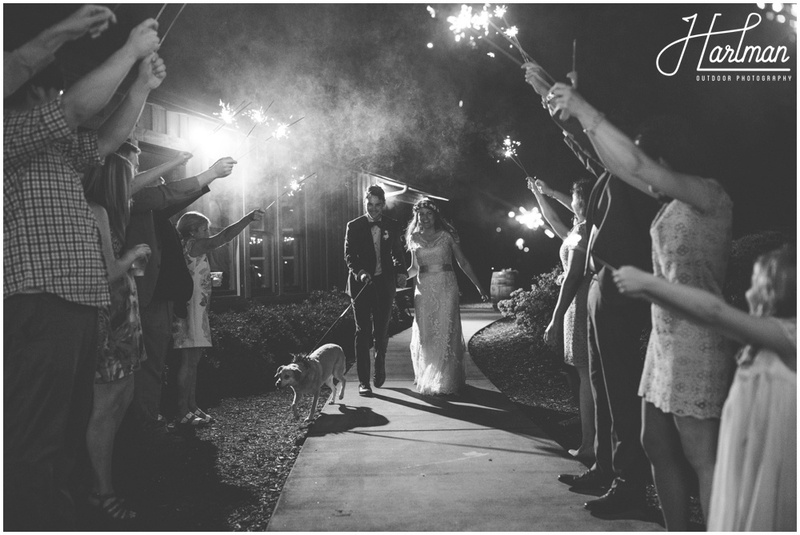 And Lucy is just so darn sweet! 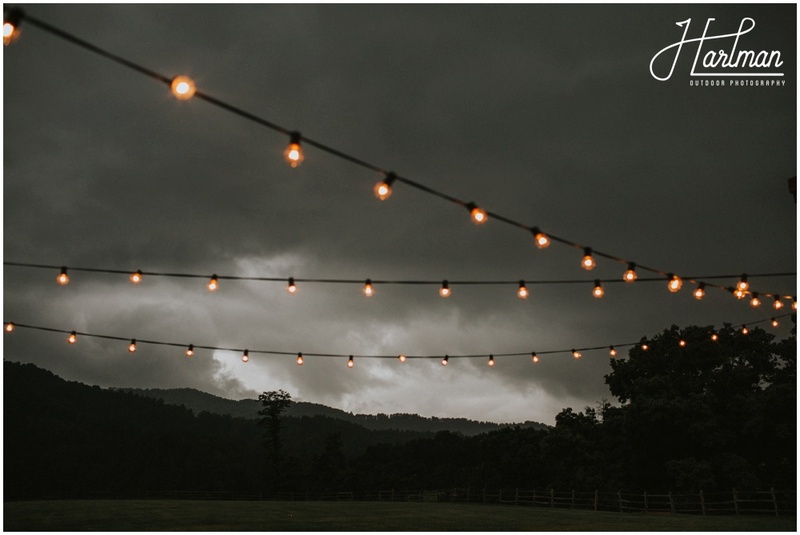 After an absolutely gorgeous ceremony, the rain set back in, the sun set, and the beautiful lighting of the Claxton Farm took over. 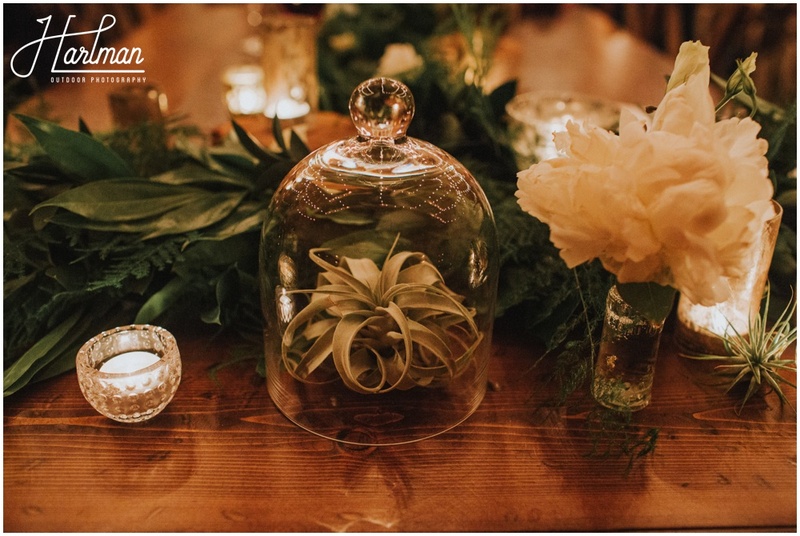 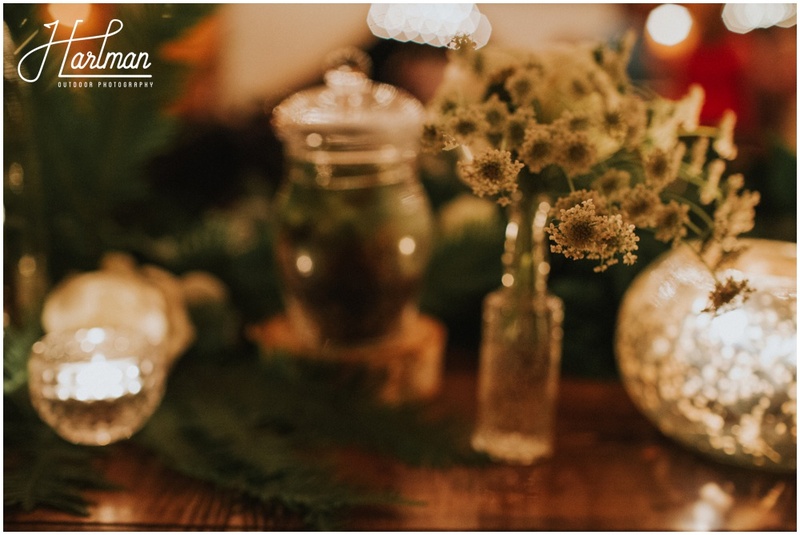 Succulents and greenery adorned the tables as guests enjoyed a family style dinner. 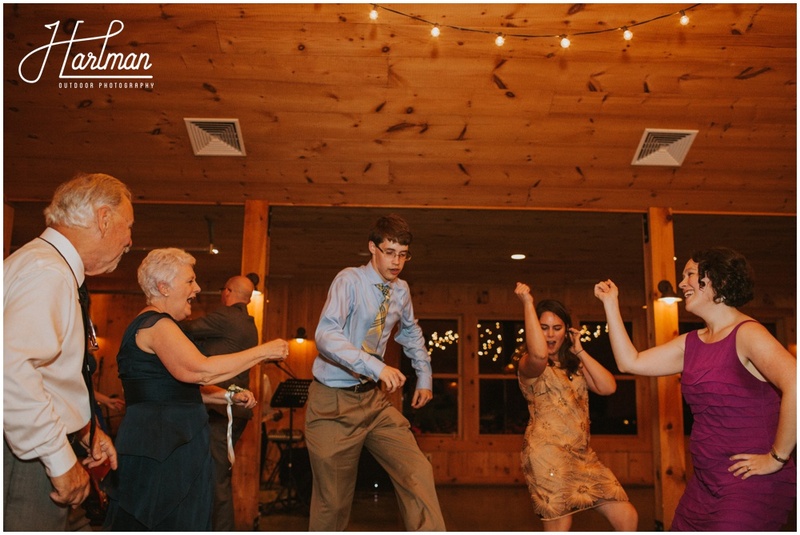 Once it was time for dancing, their band Emerald Empire let it rip and kept the beats coming all night long. 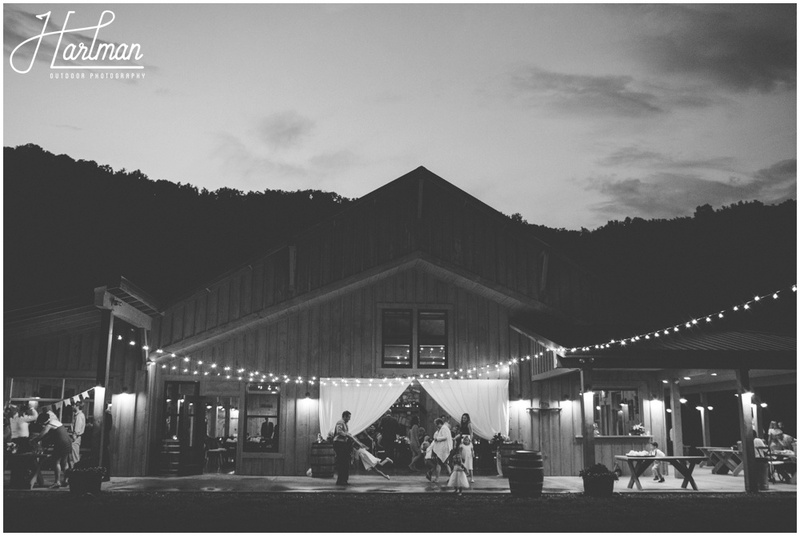 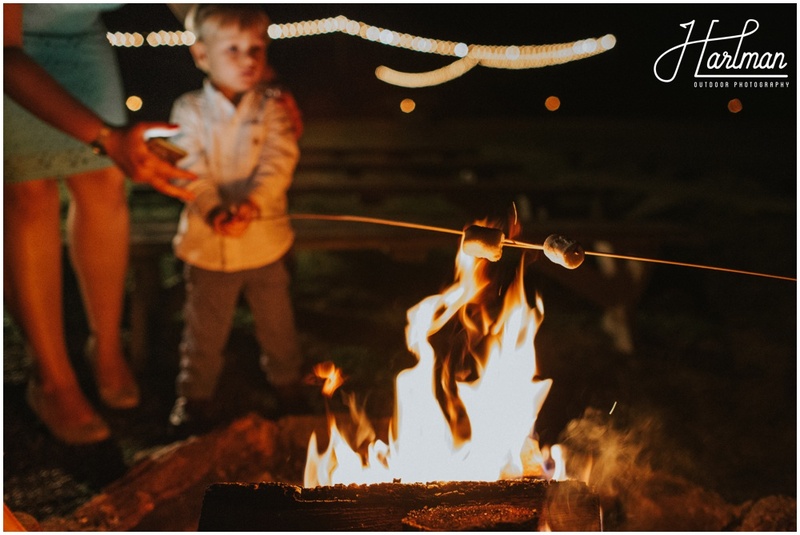 Guests enjoyed dancing, roasting s’mores, and basking in the cool mountain air. 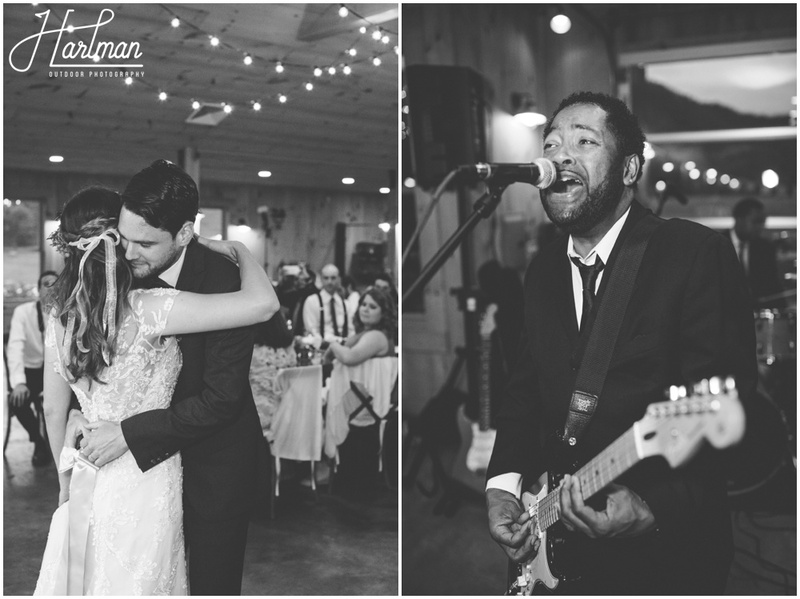 What an absolutely amazing night. 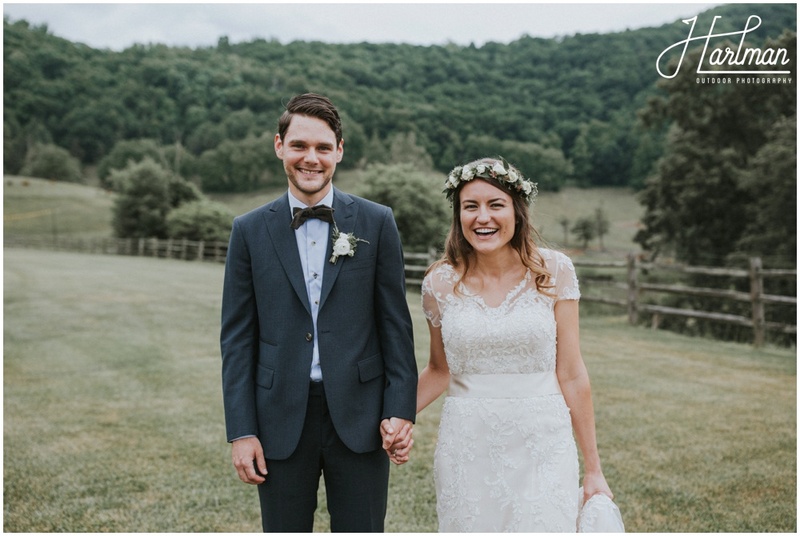 Want to see more of these two? 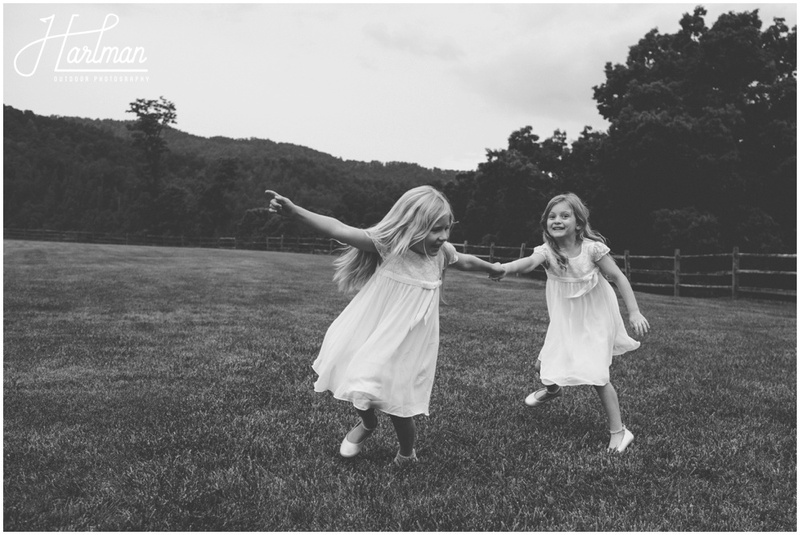 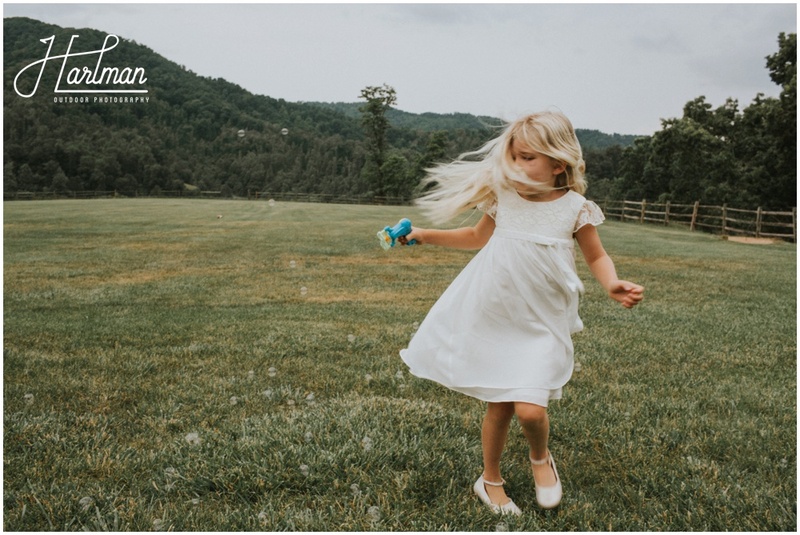 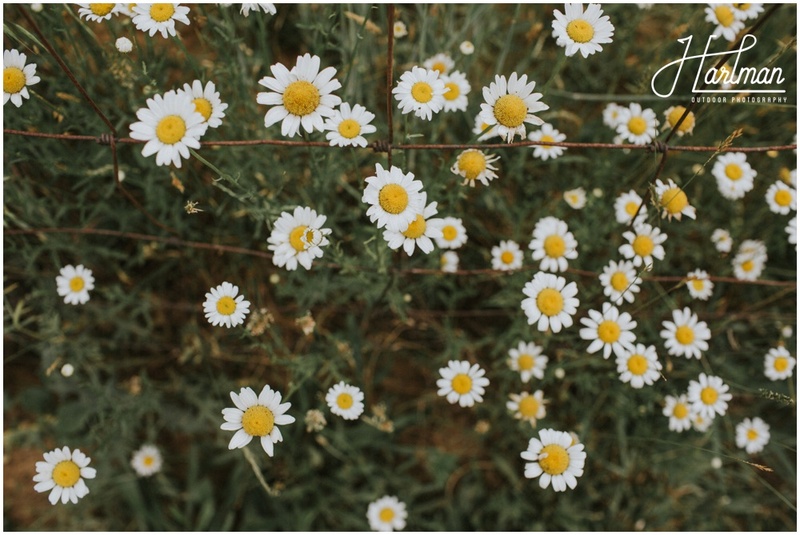 Kristin and Grayson still hold the title as one of our most adventurous engagement sessions.